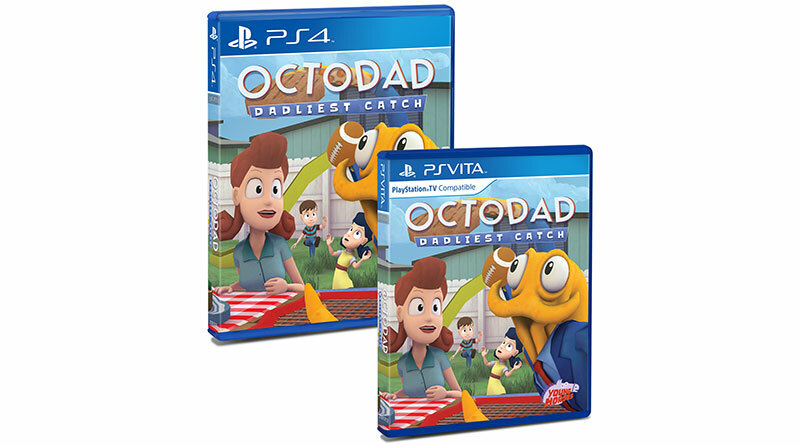 Young Horses Games has announced that they have partnered with Limited Run Games to release a limited physical PS Vita and PS4 edition of Octodad: Dadliest Catch on June 19, 2016. 3.500 PS Vita and 4.500 PS4 copies will be available worldwide for $24.99 each and will have an exclusive box art as well as an insert and will also include the “Shorts” update of the game. Young Horses Games also announced that its father simulator has sold over one million copies across PC/Mac/Linux, PS Vita, PS4, Xbox One, Wii U, iOS, and Android since the game’s release two years ago. Octodad: Dadliest Catch is a game about destruction, deception, and fatherhood. The player controls Octodad, a dapper octopus masquerading as a human, as he goes about his life. Octodad’s existence is a constant struggle, as he must master mundane tasks with his unwieldy boneless tentacles while simultaneously keeping his cephalopodan nature a secret from his human family.